For the past few months, my daughter has been asking for a horse. Or a pony, it doesn’t really matter to her as long as it is something along those lines. It is, I am told, quite a common request for a three year old girl, quite similar to the desire to be a princess and living in a castle. Naturally all of these are impossible demands for most of us but as any doting father will confirm, it is hard to disappoint your little treasure. How can I convince her that it is too big an animal too keep at home, that it needs a lot of care and that she’ll probably have to make do with a little orange fish in bowl? The common belief is that horses are put down only when they are severely injured or when, due to sickness, it is inhumane to let them live. The horses at the Funny Farm, however, prove otherwise. They also have some horrific stories to tell. Going on is quite a struggle. “It costs around €200 per horse per month and if you stop to think about that it is a hell of a lot of money,” she says. It is hard, however, to see her giving up simply because of monetary reasons. Her passion for horses and the strong belief in what she is doing will see to that. Her beliefs are shared by Nathan Farrugia who runs another farm, although a completely different one to Sue’s. 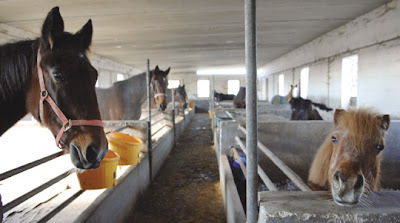 As the chief executive of the Razzett tal-Hbiberija – literally the Farm of Friendship – he has seen the benefits of children with disabilities interacting with animals. Stand to reason, then that the Razzett’s animal park is one of the success stories. It is far from the only one. Founded in 1989, Razzett is a non-profit charitable organisation that offers an array of recreational and therapeutic services to persons with a disability free of charge. Inevitably, for a project with such lofty ambitions, money features highly in Nathan’s list of problems. “We need around €1 million each year and 98% if that comes through donations.” That explains the hard work that is routinely put into fund raising activities. Some of which Nathan has put on himself: in order to raise money this year he is aiming to take on the Malta Half Marathon in February, the London Marathon in April before concluding his tour de force in July at the grueling Ironman in Austria. 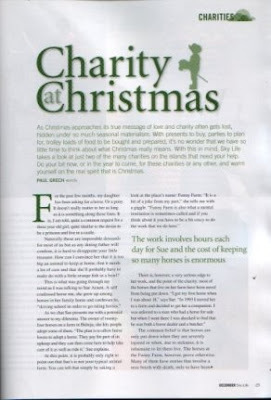 This article was published in the December 2008 issue of Skylife magazine.